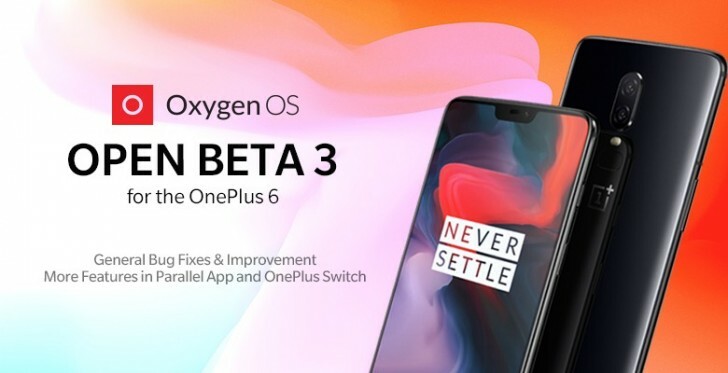 OnePlus just released the new Open Beta 3 Android 9.0 Pie-based software update for OnePlus 6 devices participating in the open beta program. The patch is mostly fixing bugs and improving overall stability, although there are a few other interesting improvements as well. The changelog says that users can expect better face unlock and fingerprint scanner behavior and there’s now added support for Google Assistant or other third-party assistant apps. You can launch the assigned assistant by holding the power button for 0.5 seconds. OnePlus also extended the support for Parallel Apps by including Telegram, Discord, IMO, Uber and OLA. The OnePlus Switch app gets a handful of useful improvements including broader support for other Android devices. There are still stability issues regarding some apps and Google Pay isn’t working yet with this beta version, so keep that in mind. If you are running OxygenOS Open Beta, you can expect the OTA update to arrive shortly and if you are already on the latest version, you can submit known bugs and issues via the Community app.